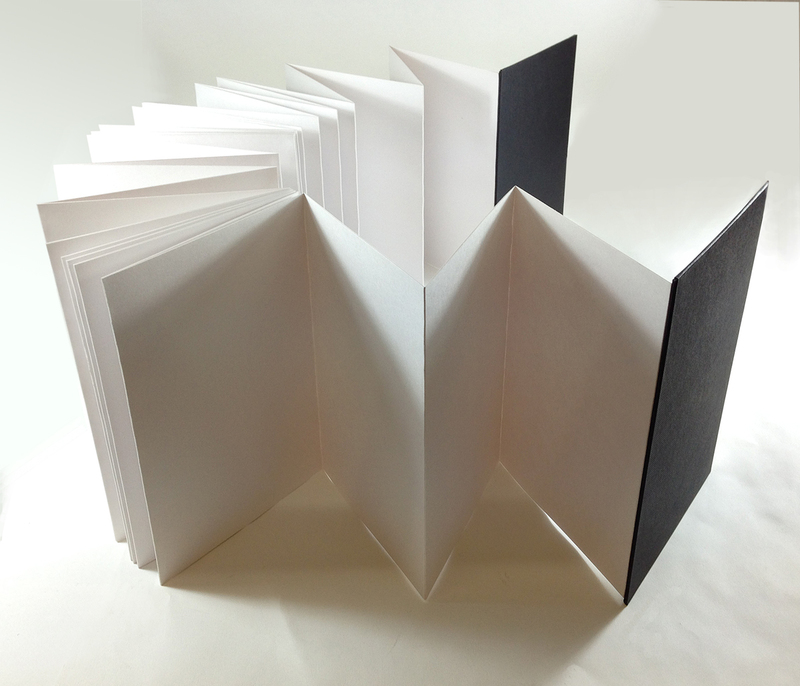 This A5 concertina sketchbook is unusual because you can open it up and display all the pages at one time. This makes it great for bookarts exhibitions and other times that you want to show your work in a book format but without the viewer picking it up. Of course it also makes a great regular sketchbook, with pages thick enough to use both sides without bleed-through. This versatile book has no fewer than 70 working surfaces in a zig-zag layout. 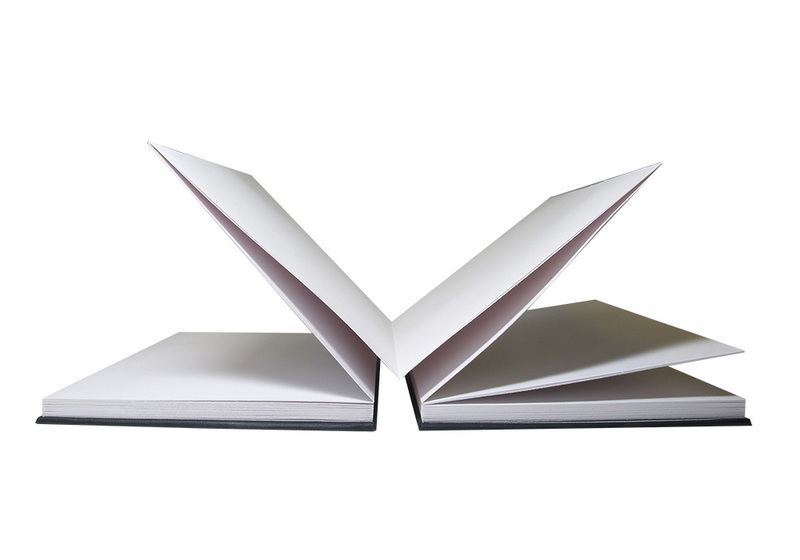 Each page is made of two sheets of paper joined together to give extra stability. 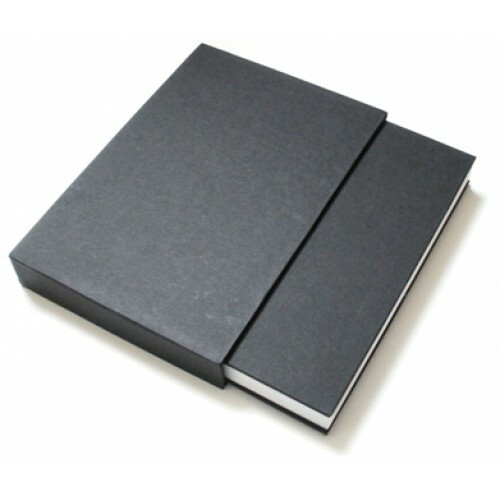 The paper is 140gsm acid-free cartridge paper, the hard covers are attractively covered in black cloth. It comes with a matching, elegant hard slip case that is useful when carrying the book as a sketchbook as it holds it evenly closed. The cloth could be primed and painted on to create a custom cover design. This attractive sketch book and slipcase has received many positive reviews from artists who say it is high quality, well made and sturdy and that they appreciate that it is a bit unusual and harder to find than an average sketchbook. The Concertina Sketchbook in a Slipcase is available on the Jackson’s Art website.